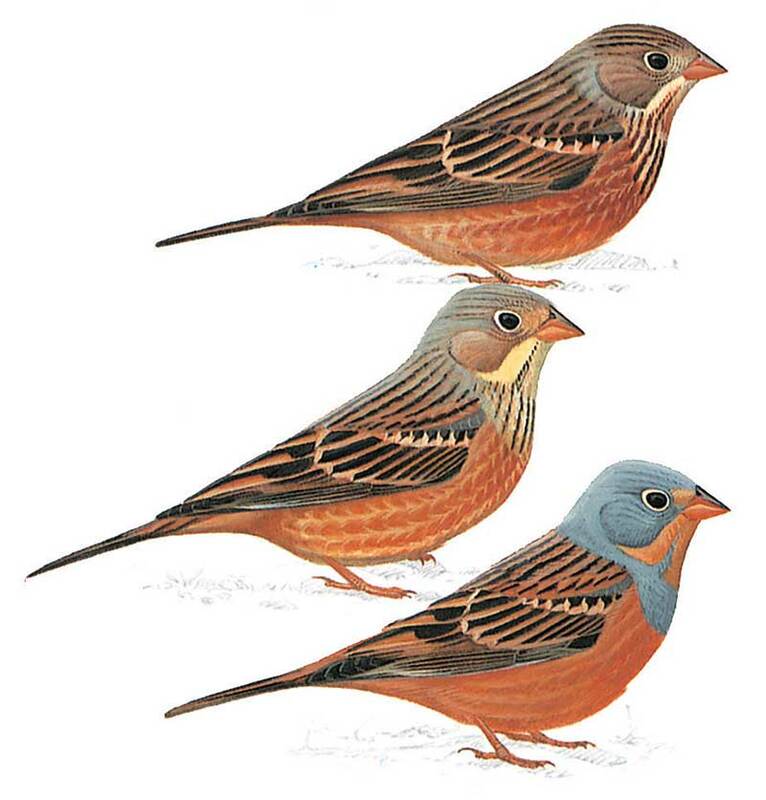 Resembles a bright version of Ortolan Bunting. Male has bright blue-grey head and breast band framing rusty orange throat, rufous rump, a rufous-buff vent and undertail coverts. Belly orange-chestnut, blackish brown tertials with clear-cut rufous-chestnut notched fringe. Female duller, often with traces of ash-grey on head, some grey on streaked breast. Compare with Ortolan Bunting.